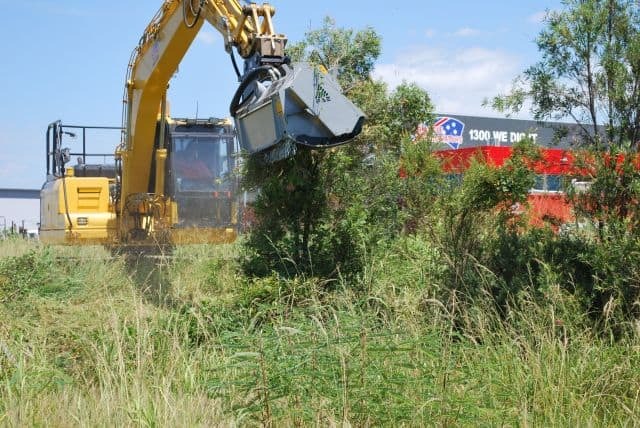 Aussie Enviro Excavations recognises the importance of erosion and sediment control in riparian conservation, and understand how to shape and strengthen the landscape whilst staying sympathetic to the natural flow of the terrain. Offering a full service in the management of riparian conservation projects, our team works closely with environmental professionals to deliver quality sustainable solutions. We have the capacity to manage all aspects of riparian conservation projects from site inspection and investigation; issue analysis; rehabilitation, restoration and remediation services. Understanding that minimising our footprint on the environment, through implementing innovative, safe and environmentally responsible work practices helps Aussie Enviro ensure that we pass on a sustainable environment to our future generations. We have an experienced team of people who operate our modern fleet of equipment, a fleet that has been specifically chosen for its fuel efficiency and emission reduction properties.